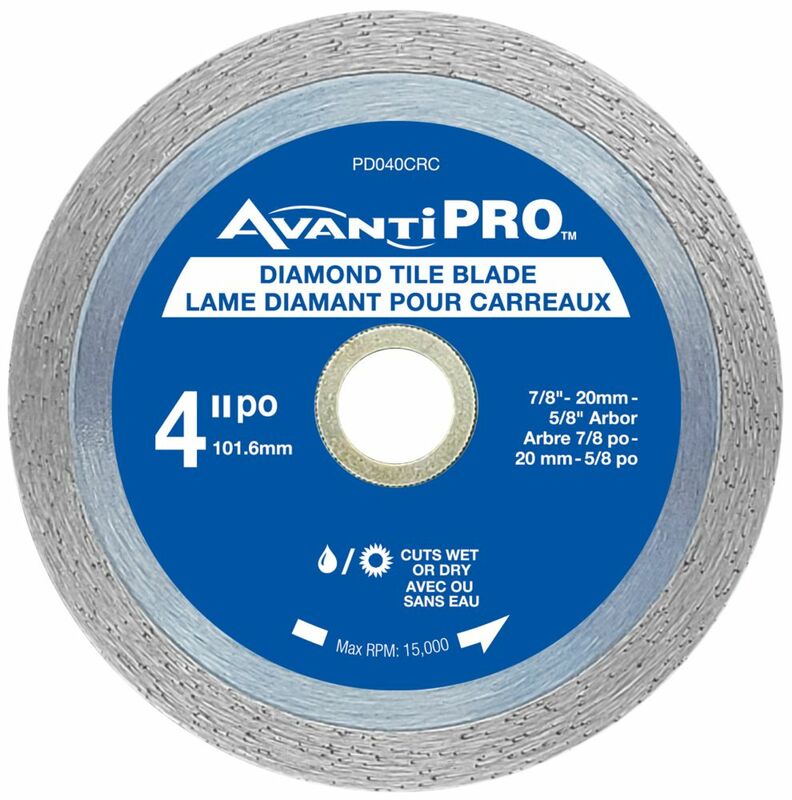 Avanti PRO Diamond Blades are the perfect choice for DIY users that need a blade that is made to last. The continuous rim diamond blade is great for fast and smooth cutting of ceramic tile, porcelain tile, and marble. For use with tile saws and angle grinders. The QEP Black Widow Diamond Blade is a premier blade for very fast, chip-and wobble-free cutting of porcelain, marble, granite and ceramic tile. The unique diamond-shaped laser cutouts around the perimeter keep the blade cooler for superior performance and a longer life. In fact, independent testing has shown that the total average cut speed for the Black Widow blade is 17.14 seconds; faster than other porcelain cutting blades on the market today. This continuous general purpose diamond blade, part of Makita's Optimum Series - Bond Matrix is engineered to provide the optimal balance between wear, fracture and exposure in order to maximize the cutting ability of the diamond content. Optimum Blades cut faster, longer, and smoother than the competition in a variety of materials and are ideal for those projects that include cutting tile, porcelain and stone. 4 inch Continuous Rim Diamond Blade Avanti PRO Diamond Blades are the perfect choice for DIY users that need a blade that is made to last. The continuous rim diamond blade is great for fast and smooth cutting of ceramic tile, porcelain tile, and marble. For use with tile saws and angle grinders.